Introducing RK2 Pro-Tect Ultraviolet sterilisers. All Pro-Tect UV systems feature durable, non-corrosive schedule 80 PVC reaction chambers. Each system utilizes single end glassware assemblies which simplify maintenance and reduce over all labor costs associated with operating a UV system. 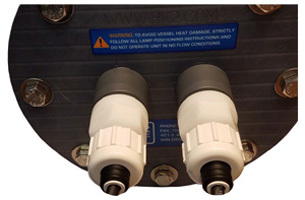 Our inlet/outlet ports are engineered to ensure optimal hydraulic mixing inside the reaction chamber. 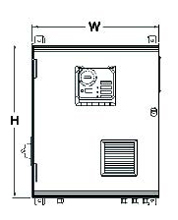 Pro-Tect UV systems’ power supply enclosures are made using non-metal, non-corrosive thermoplastic or fiberglass. Our standard HMI (Human Machine Interface) control package is user friendly and simplifies daily operation. 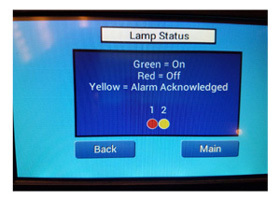 A color touch screen display shows basic operating status of the UV system and alerts users to any problems that may arise. Upgrading to the optional HMI Pro series control package expands the capabilities of your Pro-Tect UV system. HMI Pro series control package offers a larger color touch screen display and more advanced monitoring options. Both the standard HMI and optional HMI Pro series packages include water temperature monitor with alarm and safety cutoff switch. With a combined 50+ years of UV experience, please consider a Pro-Tect UV system for your applications.